Larry Roland is a native Bostonian who grew up in the city of higher learning and absorbed all it had to offer. He attended Boston University, and it was there that he found his voice for poetry. 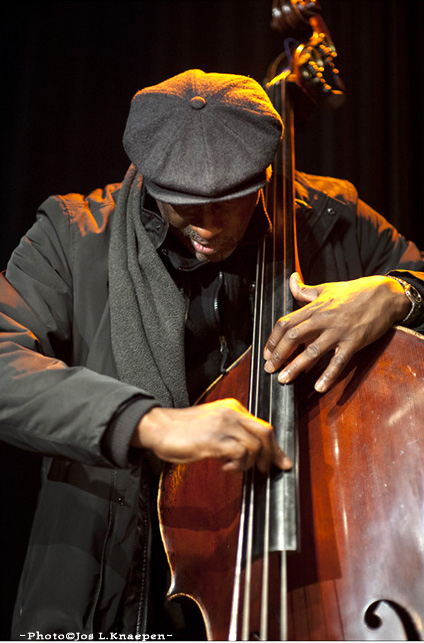 After graduation he turned to a new creative outlet - the acoustic Bass. He merged his poetry with the acoustic Bass sound to form a unique combination of Art that blended the European literal, and the "African in America" Oral traditions. With a backdrop consisting of music, he explores spirituality, identity and social issues throughout the Diaspora. His lyrics are profound while riding on an acoustic wave of bass lines that wash up and retreats over the shores of "so called" Jazz. Through his performances, he pays homage to the strength and beauty of his ancestors from whom he has gained knowledge, wisdom, pride, and understanding. His intense concentration on his craft/art form and his driving desire to teach and educate people via Spoken Word gives him an emotional high. As an informed artist, Larry Roland has an in depth knowledge of the effects that words have on his audiences and as such he performs with an attitude of excitement and adventure. He is experienced, yet he is always sharpening his skills to maintain his authenticity and to give the best of himself. His passion for Spoken Word coupled with improvisational music is almost without equal, thus his subtle sweetness is disarming and seductive which adds another dimension to the man who has a voice that has truly withstood the test of time.